Place finely chopped chocolate in a medium-sized mixing bowl. The finer the chocolate is chopped, the easier it will melt and the quicker the truffle-making process will go. Heat coconut milk in a small saucepan over medium heat until just starting to simmer. Immediately add coconut milk to chocolate and loosely cover with a cooking lid or towel to trap the heat in. Do not touch for 5 minutes, then lift cover and use a mixing spoon to gently stir, trying not to incorporate air. Continue stirring until completely melted, creamy and smooth. Set the mixture in the refrigerator to chill uncovered for 2-3 hours, or until almost completely solid. A good test is dipping a knife into the middle of the bowl to see if any chocolate sticks. If it comes out mostly clean, it’s ready to scoop. If there’s still wet chocolate in the center, continue refrigerating. Once chilled and firm, prepare a small dish of cocoa powder for rolling (optional). Use a Tablespoon-sized scoop or a tablespoon to scoop out small balls then use your hands to gently but quickly roll/form the chocolate into balls. Toss in cocoa powder to coat and shake off excess (or leave bare), then set on a parchment-lined serving dish. Continue until all chocolate is scooped. There should be about 16 truffles, depending on the size of your scoop. If any of the chocolate near the center of the bowl was too soft to form, refrigerate that portion for a bit longer before proceeding. 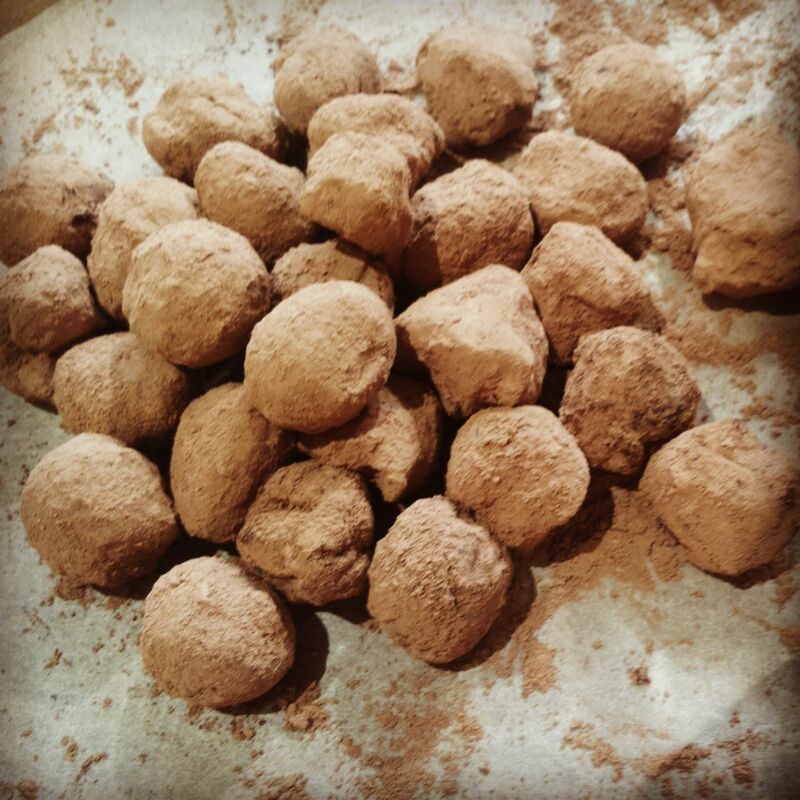 Enjoy truffles immediately, or refrigerate for 1-2 hours or overnight. This allows them to set and firm up. Store truffles covered in the refrigerator for best freshness. To serve, let come to room temperature for 10-15 minutes before serving for optimum creaminess.